S. M. WILSON PROMOTES BRIAN BEA, JACK KINAMORE AND MIKE HANNER TO PROJECT DIRECTORS - S. M. Wilson & Co. S. M. WILSON PROMOTES BRIAN BEA, JACK KINAMORE AND MIKE HANNER TO PROJECT DIRECTORS - S. M. Wilson & Co.
Bea has been with S. M. Wilson for 11 years and has more than 20 years in the Industry. 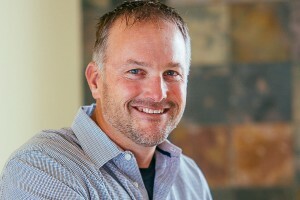 He has worked on $70+ million of projects at Blessing Hospital, and is currently overseeing projects with Formation Development and Erickson Living. Bea holds a B.S. 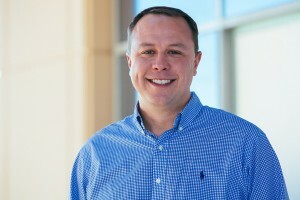 Construction Management from John Brown University and is a graduate of the Construction Leadership Institute – Southern Illinois University Edwardsville. He has is ASHE Healthcare Construction Certificate and OSHA 30 Hour Construction Safety and Health for Construction Industry certified. Kinamore began working at S. M. Wilson more than 17 years ago as a Laborer. He has worked for the company as a Laborer, Intern, Project Engineer, Project Manager and Senior Project Manager. During this time, Jack has worked on more than 40 projects for S. M. Wilson, including $100 million of projects for Von Maur and $24 million for Target. He is currently working on Von Maur Rosedale. Kinamore holds a B.S. Construction Management, Central Missouri State University and is a graduate of the Construction Leadership Institute – Southern Illinois University Edwardsville. He has is ASHE Healthcare Construction Certificate and OSHA 30 Hour Construction Safety and Health for Construction Industry certified. 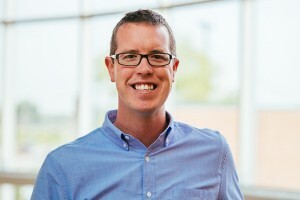 Hanner joined the industry in 2000 and began working for S. M. Wilson in 2001. He has been involved in a variety of projects. Most recently, Hanner has been working on the $542 million Campus Renewal project. Hanner holds a B.S. Construction Management from Southern Illinois University- Edwardsville. He has is ASHE Healthcare Construction Certificate and OSHA 30 Hour Construction Safety and Health for Construction Industry certified. S. M. Wilson is a full-service construction management, design/build and general contracting firm with headquarters in St. Louis. S. M. Wilson is one of the largest general construction and construction management firms in the St. Louis area. The company posted $280 million in 2016 revenues and ranks 220th in Engineering News-Record’s 2016 list of Top 400 commercial contractors nationwide. For more information, visit www.smwilson.com.